I have a real yen for small plates. 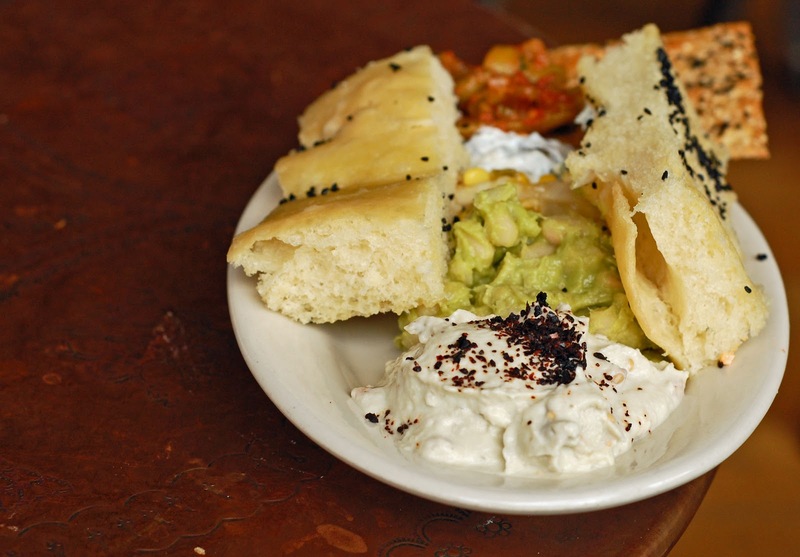 Tapas, mezze, antipasti, appetizers, you name it. It's not that I can't make up my mind, or that I get bored with full-size dishes―I just feel the craving to taste as many recipes and flavors as I can. No stone left unturned, no dish left untasted! That's why I swooned when I saw the mezze bar at Sofra. I almost couldn't choose. It was heaven: a spoonful of Romano bean plaki here, bread topped with smokey eggplant there. Sofra's food is Eastern Mediterranean, with loads of vegetables, and the deep flavors of nuts and spice, but there's lots of invention at play here. Avocado hummus, beet tzatziki, spinach falafel―classic vehicles, but with a twist. I liked their zucchini pancakes with a dollop of thick white labne ($5) on top, and their Shakshuka, two poached eggs in a scarlet bath of curried tomato sauce ($7). Cheese Bärek ($7), a pie with layers of fresh cheese, egg, and flaky pastry, was satisfying but not heavy. 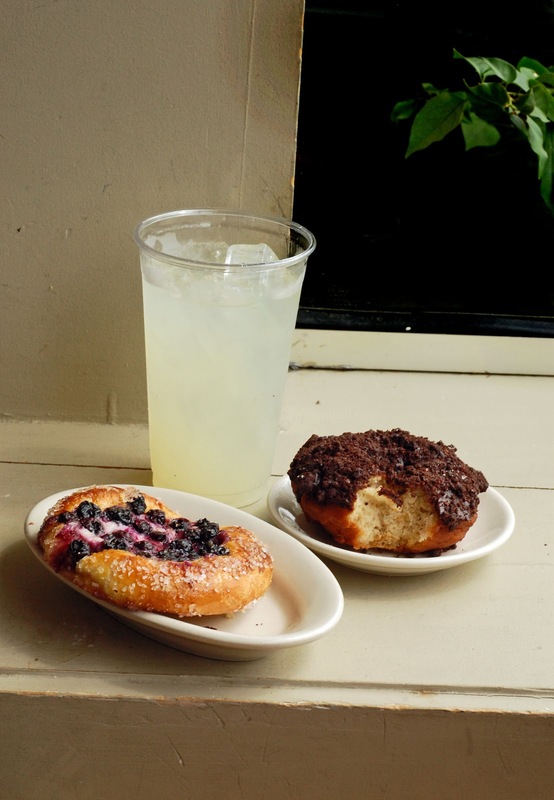 Their baked goods are a draw in themselves―full of flavor but not cloyingly sweet, moist but not greasy. These flavors are subtler than Krispy Kreme, but more rewarding. If you're lucky enough to get one of the tables in this tiny, perpetually crowded place on Belmont Street, then sit, and savor. I love small plates too; it's fun having a variety of flavors and textures to sample. Everything you mentioned sounds delcious, and that doughnut has me dreaming one will appear in front of me right now! Ashley, I totally agree (both about the small plates and the doughnut...)!